LIMITED TIME ONLY - No set up fee - just pay for Hosting! 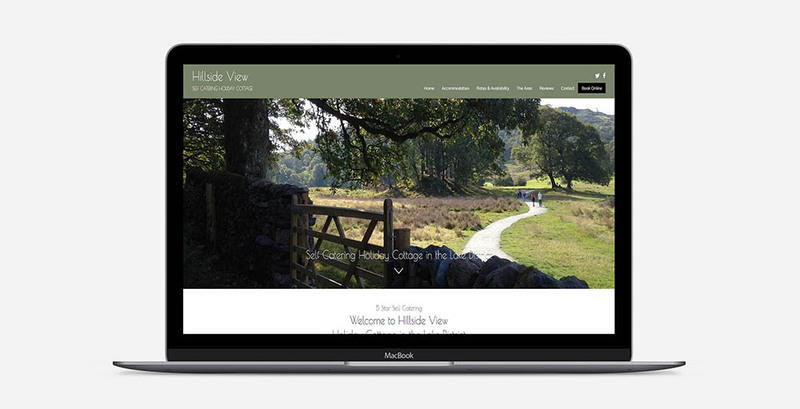 Web Design For Accommodation specialise in making websites for B&Bs and Self Catering Accommodation and after having made over 400 websites for accommodation owners, we have created a new Small Free 'Power-Site' which is ideal for cottages or small B&Bs, that you won't find offered by any other web designers. Designed to give you that professional look, our Power Sites provide a powerful online presence that shows off your accommodation in the best possible way. But it's more than just a beautiful brochure, as these Power Sites will actually be bringing you in vital website traffic. The simple answer is, anyone who wants to be found online. If you already have a website, your power site can be used as a "feeder" to your main website, improving your own website's SEO and traffic. If you don't have a website; this is an ideal way to get your own website, at very little cost! The site includes a blog area for the site owner to promote their accommodation and area. Each time a blog post is published, we use the amazing Missing Lettr service to produce numerous tweets based on the content of your article and these are sent out to our Twitter followers throughout the year. This will bring in a valuable source of online traffic. As the power sites are heavily optimised to come up for a niche search phrase for your accommodation, the power site will get found on search engines too. The power websites are free; you simply pay for the annual hosting, which is £99.99+VAT, each year. This hosting fee covers the cost of housing your website on our server as well as technical assistance (should you need any help editing your website) and most importantly of all, additional hosting security to protect your site against any malware. Also included in the cost is the amazing Missing Lettr service worth $180 per year. Your own blog area, which will be connected using the amazing Missing Lettr service, with each blog post sent out on Twitter numerous times throughout the year. Your blog posts will be seen by our Twitter followers. Links through to your own booking system (eg freetobook or Supercontrol) if you currently use one. Please take a look at what is NOT included! Please note; we do not allow for any changes in the layout / design of the power website, however we are able to customise your site with a choice of accent colour and title / content fonts. Please note; we do not include a website address. We can register your website address for an additional £9.99+VAT for a .co.uk or £14.99+VAT for a .com domain name. Please note; we do not include an email address (derived from a domain name). We can provide dedicated email eg stay@yourdomain.co.uk at a charge of £24.99+VAT per annum, per email address. We'll then send you a form to fill in to provide us with your website's text. We then create your lovely Power Site. It only takes us 24 hours to create your site. We provide you with easy to follow instructions on how to edit your website, plus how to add articles to your blog area, as well as ideas on what to write about! The more articles you write (ideally 1-2 a week), the more successful your power website will be, as the more tweets will be out there talking about your site! Personalise your website - we can customise the design for you by colour and font...you can let us know the exact colour you would like and choose from any of the 800 Google fonts. Interested in finding out more? Please fill in your name and email address and we'll email you more information!